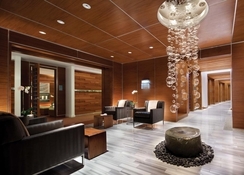 Vdara Hotel & Spa is situated in one of the most privileged areas of Las Vegas. 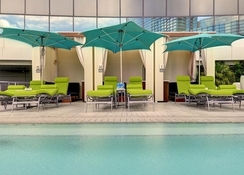 If you want some quiet time amidst the bustling, lively and vibrant Las Vegas, then this hotel is for you. 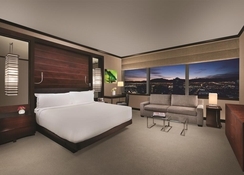 Offering 1495 suites, this is the only non-casino hotel, along with Waldorf Astoria in Vegas. There is a lovely rooftop pool, where you will also find private cabanas to chill in while enjoying handcrafted cocktails and spectacular views. The hotel is home to some of the best night clubs including the Jewel Night Club at Aria, Vice Versa Patio & Lounge and Night Life at Aria. The ESPA at Vdara, recipient of the Forbes Travel Guide 5-Star rating, lets you embark on a therapeutic journey of relaxation. 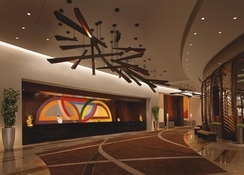 Vdara Hotel & Spa is perfectly positioned in Las Vegas City Centre. There are numerous shopping malls, bars, restaurants and casinos within close proximity to the hotel. The McCarran International Airport is 3.8km from the hotel, making it convenient for the guests to board their flights on time. The hotel features luxurious guestrooms and suites for accommodating all kinds of travellers from across the world. All the rooms and suites are family-sized and loaded with comfort, convenience and luxurious amenities. 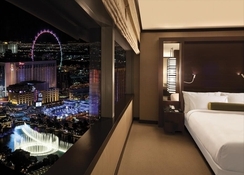 They also come with floor to ceiling windows that will let you enjoy marvellous views of the Las Vegas city. Rooms and suites are categorised as Studio Fountain View Suite, City Corner Suite, One Bedroom Penthouse, Executive Corner Suite, City Corner Club Lounge Suite, Studio Fountain View Club Lounge Suite, Vdara Suite, Studio V Dog Suite, Two Bedroom Penthouse and Studio Suite. The guestrooms and suites come with all the necessary amenities that include a flat screen TV, telephone, sofa set, double bed, shower in bathroom and much more. There are plenty of dining, drinking and snacking options in and around the hotel that include Market Café Vdara, Vice Versa Patio & Lounge, Pool & Lounge Vdara, Starbucks, Jean Georges Steakhouse, Julian Serrano Tapas, Sage, Carbone (Italian Cuisine), Bardot Brasserie, Blossom (Chinese cuisine), Herringbone, Lemongrass and Javier's. or take advantage of in-suite dining, which is available for 24 hours a day. 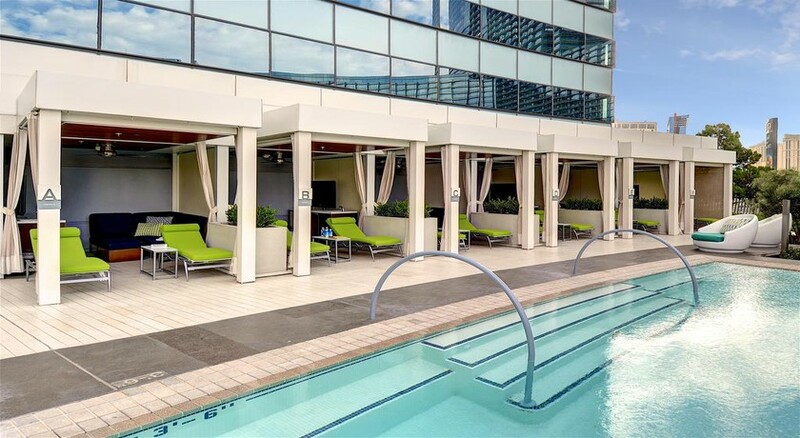 Vdara Hotel & Spa is the ultimate destination to reach out for if you are looking for extensive range of amenities. Some of the sports facilities in the resort include pool & lounge, spa, fitness centre, Jacuzzi and much more. The hotel also offers live music and entertainment to its guests.